Call for higher quantities. Price includes a one-color/location foil imprint up to 16 square inches. Standard turnaround is 10-15 business days. Actual pre-production sample available for $112.50 (G) and adds 5 days to standard production. 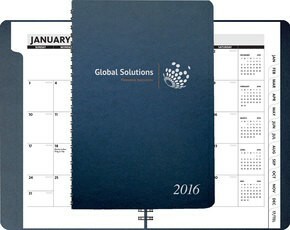 Calendar production begins in the Fall preceding the next calendar year.